Upper Beeding Primary School: Reception Classes celebrating Diwali. 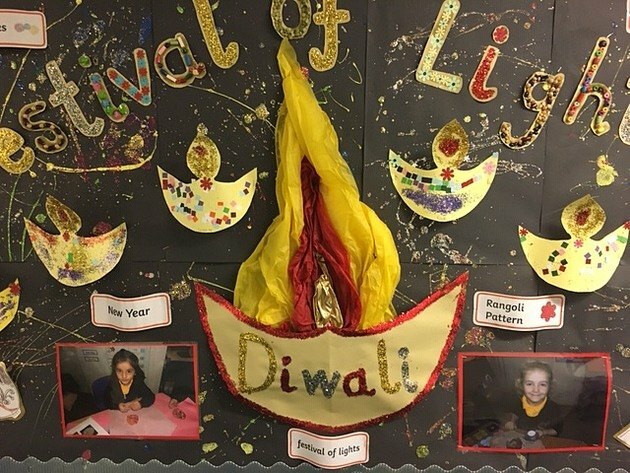 Children in the Reception Classes at Upper Beeding Primary School have recently celebrated Diwali. The children made Diva lamps, lanterns, Rangoli patterns and Mendhi hand patterns. They had great fun dancing to Indian music and performing firework dances. At the end of the day, we enjoyed firework biscuits with our friends.